Video: Hololens Is Helping Ford Design Prototypes In A Speedier Way! 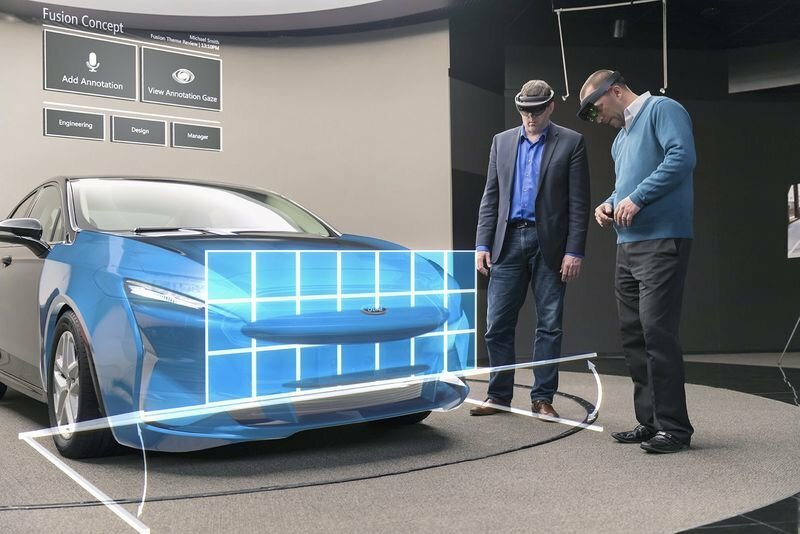 Home / Automotive / Cars / Video: Hololens Is Helping Ford Design Prototypes In A Speedier Way! Ford has been testing HoloLens over the past year to help stylists and engineers visualize and test products while considering shortening the design phase. Ford normally builds clay vehicle models at full scale but has to re-sculpt them if a design does not work. HoloLens can blend 3D holograms with real cars or models, letting designers test numerous designs in near real-time. At the same time, engineers can incorporate the physics and check to see how new features perform. Much of this can be done on a computer, of course, but the advantage of HoloLens is seeing the designs in stereoscopic 3D from all angles on a real vehicle. Another advantage is collaboration, as multiple HoloLens users can see the same thing and share voice and written notes around the world. "If HoloLens can help us test ideas without worrying about the cost of expensive clay models or prototypes, then we can liberate teams to be as creative as possible," says Holland. These novel business applications could still end up benefiting gamers, content creators and others. By commercializing it for enterprise first (and making money), Microsoft and Google can develop and perfect the tech. Once it's robust enough, it might finally give us the real-world, FPS monster-blasting games we've dreamed of and not just VFX fake-up jobs. Indulge in the video below to see how the HoloLens will benefit automotive conceptual artists in the future.